NIKE professional model 2000-02 Los Angeles Lakers full warm-up suit worn by KOBE BRYANT. Rare style. 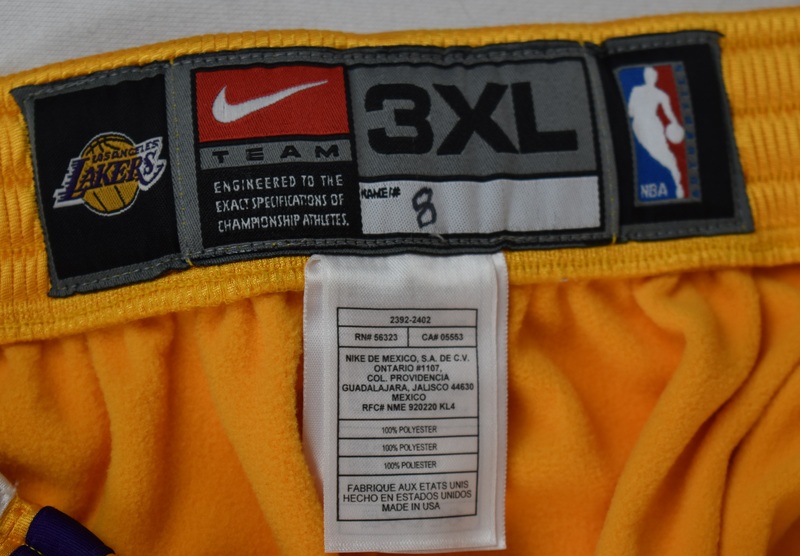 Jacket features all correct styling, specs and identifiers for Kobe and this era Lakers, including Nike swoosh, NBA embroidered logo with classic Lakers logo patch sewn to left breast. 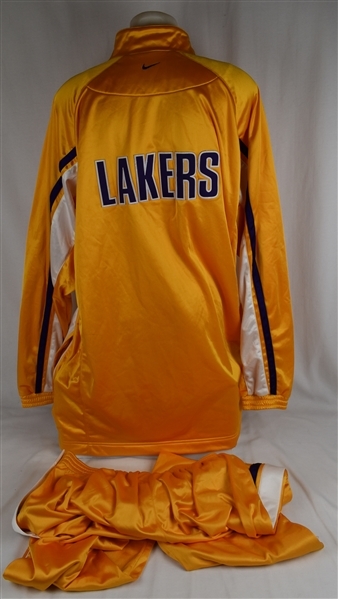 Block letter "L-A-K-E-R-S" is sewn across back in gold-on-purple double-tackle twill. Purple & Gold inserts accent the length of the sleeves and side panels. Displays all proper tagging with "Lakers/Nike/NBA [size] XL" tag sewn in collar with Bryant's number "8" boldly ID'd in inventory space. Black fabric flap tag is attached below. 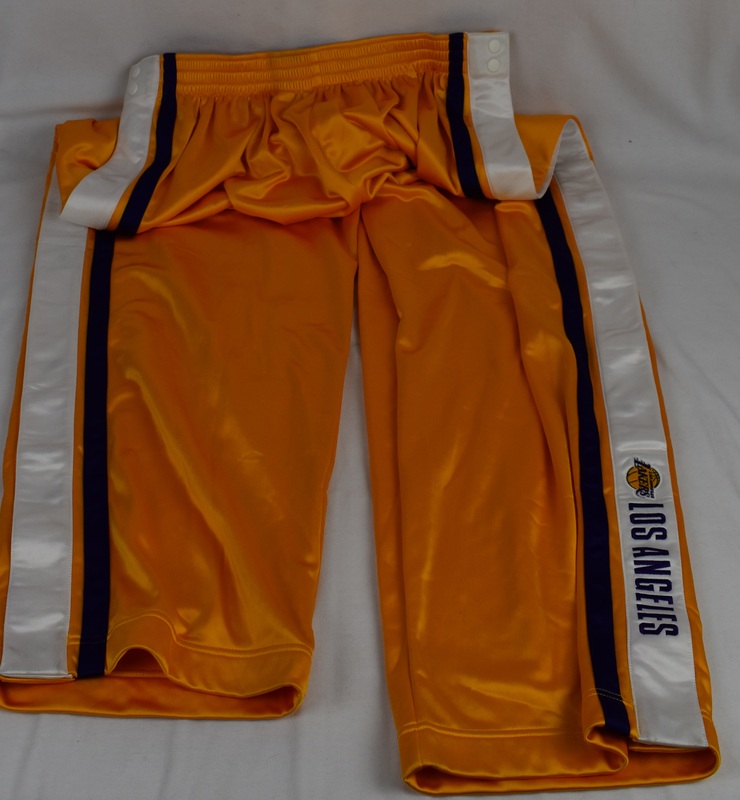 Matching uniform pants also display all proper specs, including Nike swoosh and NBA logo with Purple & Gold accents running the length of both legs. 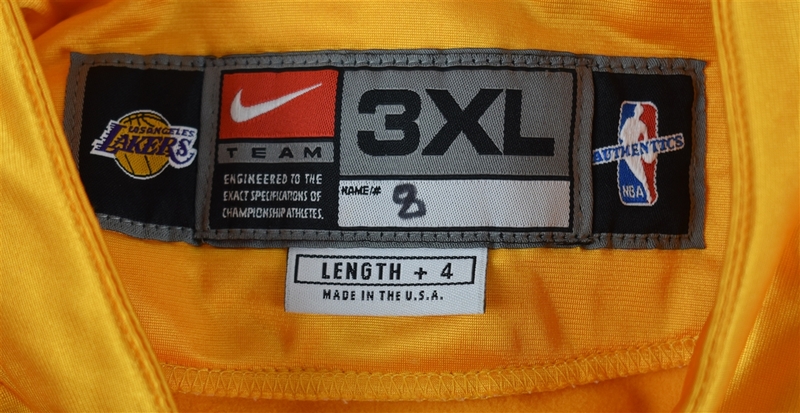 Correct Nike "XL" tagging is set in rear of waistband with Bryant's number "8" again boldly markered. Displays use throughout, as well as washings. No version of this suit was ever available at retail or outside team sources. 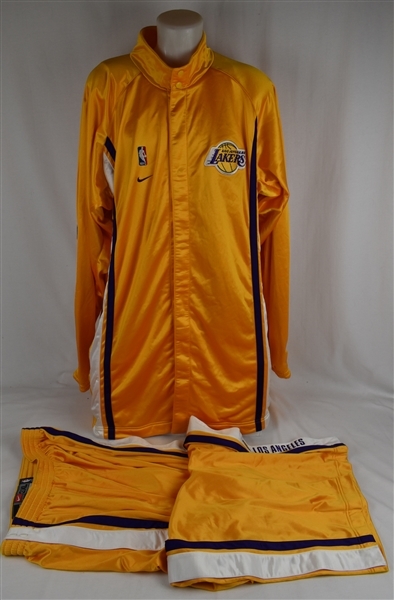 Great display and a very desirable one-season style dating to early in Kobe's career, as he collected rings and every possible accolade, and ascended to one of the greatest players in NBA history.